His name is Dan and he’s an alcoholic. He’s a drunk for the first part of the novel anyway; thanks to AA Dan sobers up and finds something like a purpose in his life, becoming a hospice worker who helps dying folks shuffle off their mortal coils. Meanwhile he also becomes a mentor to a small kid named Abra, who similarly shines, stronger than Dan ever did. Little Danny Torrance of The Shining (1977) becomes Doctor Sleep‘s (2013) 40-something Dan in several quick steps, the novel skipping sprightly from the smouldering ruins of the Overlook hotel to the present day, discarding its old seventies skin for the new, sparklier and magic-infused storytelling of latter-day Stephen King novels. Some characters are the same and Jack Torrance‘s shadow looms large in Dan’s life, but otherwise it’s a brand new ballgame in a brand new ballpark. There are elaborate villains, for one: a group of psychic vampires called the True Knot. Rambling along the highways of America in their RVs and their campervans, they subsist on something called the steam, a vapor they extract through torture from kids who shine. Through several circumstances, their leader Rose the Hat (thus called because she wears a hat) fixates on the young Abra. With the help of Dan and several other folks, Abra fights back. So gone are the subtle cabin fever atmospherics of The Shining; instead, it’s an action-packed psychic fightfest from New England to Colorado, with body swaps and all sorts of mental trickery. And it’d be lying to say it’s not fun; it is, extremely, and funny too, with generous doses of humour sprinkled throughout (a particular passage underlines a villain as truly evil because he abhors baseball). King has certainly enjoyed writing the novel, and it shows. The result is almost too relaxed; the writing and plotting are very loose, events and characters often nearly cartoonish. The villains are somewhat hapless as well, suffering from malnutrition and dying of measles. The dangers are mild, and none of the good guys dies in the book, except for centenarians at the hospice whose time it is to croak anyway. And you can trust even mad Jack to swoop in with a helping hand and a wink, as the finale plays out on the site of the old hotel. Some grit and edge would’ve improved the novel that now seems slightly too nice and polite at times; too neat. There are several references to Joe Hill‘s excellent NOS4A2 along the way, and there does seem to be something of a mental kinship between the two novels, both being modern fantasy rather than ballbreaking horror. 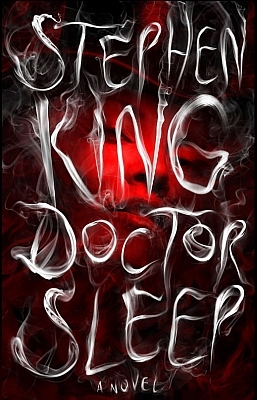 In the end Doctor Sleep may be a sequel to The Shining, but it’s none too nostalgic about it.